Something we’ve got used to in our daily purchasing habits is the term ‘buy now pay later’. Whilst this may be good for our personal lifestyles and ease the cash flow somewhat, we still have to pay, only later and usually with added interest. The same goes for our climate: we emit now, but due to finite CO2 budgets, we will ultimately have to pay and it is up to us to decide whether we prefer drastic mitigation or adaptation action as payment. 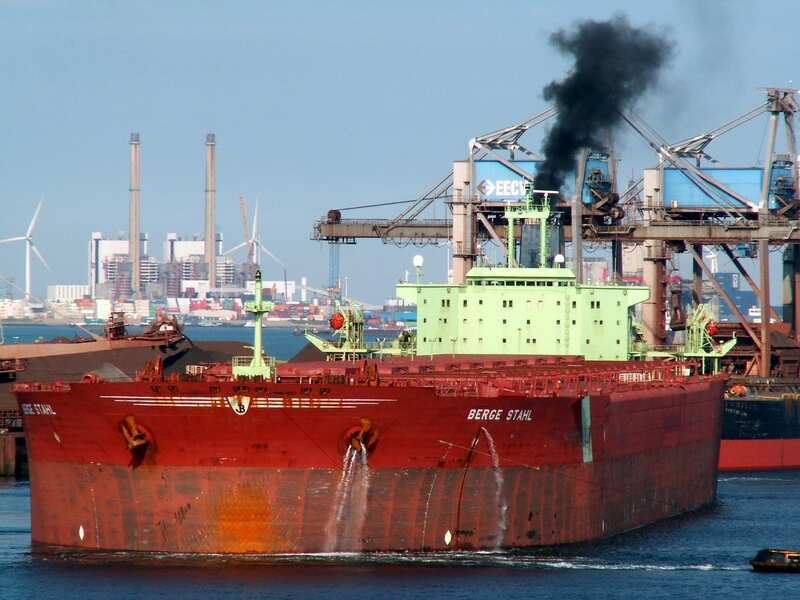 For quite some time shipping, which accounts for approximately 2-3% of global CO2 emissions, has dodged the emissions regulatory bullet for various reasons (relative to other sectors), one of them being the public’s lack of awareness of the industry. Unless you live next to a busy port, you probably don’t think too much about the global shipping industry and its carbon footprint. The Paris Agreement too excluded both the shipping and aviation sector and left the management of greenhouse gas (GHG) emission reductions to their respective UN designated bodies, the International Maritime Organization (IMO) and International Civil Aviation Organization (ICAO). Under currently implemented IMO policies, which only just manage to make a dent on the industry’s CO2 emissions, shipping’s GHG emissions are expected to rise threefold, with the best case scenario seeing a stabilisation of emissions by 2050 on 2012 levels. This growth of emissions is in stark contrast to the long-term temperature objectives of the Paris Agreement, namely “holding the increase in the global average temperature to well below 2°C above pre-industrial levels and pursuing efforts to limit the temperature increase to 1.5 °C”. Assuming that shipping maintains a similar share of global anthropogenic CO2 emissions as it did in 2012 (i.e. 2-3%), a 2°C target would require at least a halving of international shipping’s CO2 emissions by 2050, and to have zero carbon emissions by 2080. A more stringent 1.5°C target would mean halving shipping’s CO2 emissions by 2035 already, and carbon neutrality by 2045. Given that there is a wedge like disconnect between where the shipping industry’s emissions are heading and where they should be for the purpose of mitigating climate change, any regulation that would put the shipping sector on a track to contributing emission reductions in line with the Paris Agreement objectives can be expected to have truly significant impacts on the industry and its assets: the ships. Due to the long investment cycles in the shipping industry – both in terms of ships and port infrastructure – and the steep emission cuts required, the earlier the industry and regulators deal with it, the smoother the decarbonisation pathway will be. Otherwise, “emit now, pay later” will likely leave stakeholders too little time to adjust to the steep carbon cuts then required and thus cause massive disruptions to the sector, for example in the form of stranded assets – ships that have become obsolete as they do not meet the requirements of a low-carbon world, a bit like what we have seen lately with sub-critical coal, the least efficient and most polluting form of coal fired generation. Whilst there are a significant number of technical and operational solutions (unlike aviation), that could enable a softer landing path for shipping, our research shows that market failures (e.g. split incentives and informational problems) and market barriers (e.g. access to capital) can be a hindrance towards implementation. There is little or no evidence of preferences for energy efficiency in the time charter market (where charterer pays for fuel, similar to the tenant-landlord problem in buildings), both in terms of rewarding shipowners with energy efficient ships or utilising ships that are more energy efficient. The presence of these market failures means that further regulation will be required to promote increased energy efficiency and decarbonisation in the sector. However, the IMO currently does not have a concrete emissions reduction objective, leaving the industry rudderless on its decarbonisation journey. Yet there are promising movements: in 2015, the Marshall Islands, a small Pacific island developing state but a big shot in shipping as the world’s third largest ship registry, called for IMO to develop a target aligned with a 1.5˚C temperature increase and whilst the debate was postponed at the time, it was taken up again by a number of Pacific SIDS, European and African countries earlier this year with the aim for the industry to determine its “fair share” in contributing to the Paris Agreement objectives. The next round of the debate is tabled for end of October, now with several proposals showing the growing interest of the industry to do their part in combatting climate change. But despite reason for optimism, the sector and its regulators are not well-known for their impressive speed – the recently ratified Ballast Water Convention to stop the migration of invasive species took 14 years to be adopted and another 14 years to enter into force – so we can only hope that the industry doesn’t slow steam its way to a GHG reduction agreement and risk becoming a victim of “emit now, pay later” – ultimately leaving behind many ships ‘dead in the water’.